Posterhead offers cheap postcards and cheap flyers at a substantial discount to our competitors pricing. These custom made flyers and postcards are offered in a variety of card stocks and paper. Although we do not print the postcards and flyers on premise, our business partners do and you can save a lot of money by allowing us to get your cheap postcards and cheap flyers printed at a substantial savings to you ! Posterhead Signs can get your cheap postcards printed on 14pt card stock with different final coatings in gloss or matte finish. The most common postcard is the 4″ x 6″ postcard. However, cheap postcards come in many different sizes such as the 6″ x 9″, 5″ x 7″ and others.If you are looking for EDDM mailings, Posterhead can print the size you need ! 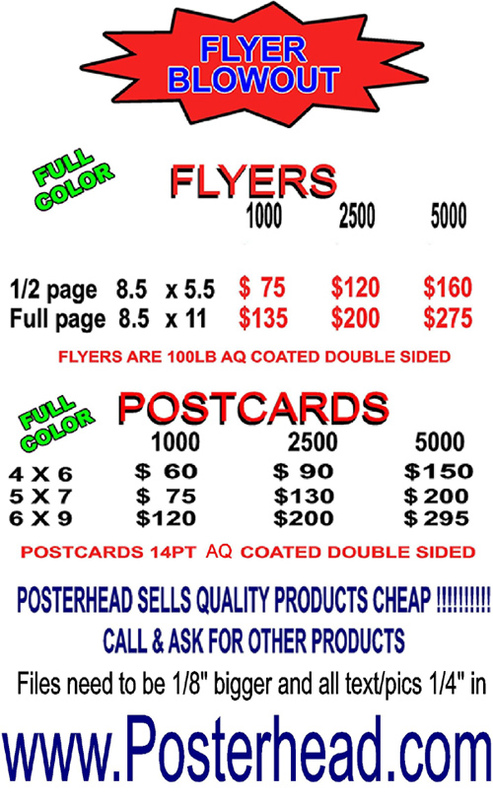 Posterhead Signs can get your cheap flyers made in the very popular 1/2 page size and other sizes as well. These custom printed flyers are printed on both sides ( you can also have them printed on one side) and can have a gloss or matte coating on them. These flyers are great for club promoters who want to save money on printing. Contact Posterhead today if you need cheap printed postcards, cheap flyers, cheap brochures ( trifold brochures or bifold brochures) and many other type of offset printing. Posterhead can also get you that trade show printing at very good pricing. Looking for same day printing ? Posterhead has local Las Vegas connections that can get you same day printing. 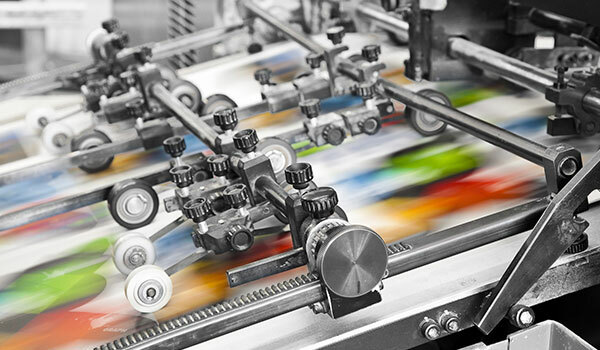 Save money by letting Posterhead print your custom flyers and postcards at substantial savings ! If you need a size not listed, just ask! © 2016 PosterHead all rights reserved.